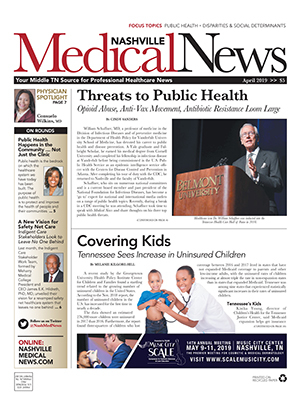 The governor's TN Together plan, which went into effect this past July, impacts both the dosage and duration of opioid prescriptions (see Nashville Medical News, May 2018). Last month, Blue Cross Blue Shield of Tennessee announced they would no longer cover OxyContin beginning in 2019. While the state's largest insurer will cover other pain medications that are less likely to lead to abuse, the announcement underscores the seismic shift in pain management. From Emergency Room initiatives to community practice to academic institutions ... providers and educators are rethinking ways to curb addiction while adequately managing pain. 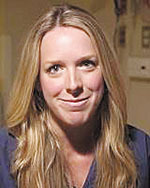 Allison Bollinger, MD, chief of Emergency Medicine at Saint Thomas Midtown Hospital, said narcotic users in the ER typically fall into two groups: chronic pain patients or substance use disorder patients. "Sometimes narcotics are appropriate for chronic pain patients, but you really want to try to decipher if there are alternatives that could help with the pain and reach for those first," said Bollinger, who often recommends over-the-counter painkillers in lieu of opioids. Because pain is a withdrawal symptom, it can also be difficult to know if patents are actually in pain or if they're experiencing withdrawal, also characterized by nausea, dizziness, anxiety and flu-like symptoms. New prescription drug laws limit opioid usage to 72 hours or less and require providers to jump through hoops for an extension. Fortunately, awareness of the opioid addiction epidemic has trickled down to the general public, many of whom understand the risk. According to the Centers for Disease Control and Prevention, one in 40 opioid patients become addicted. 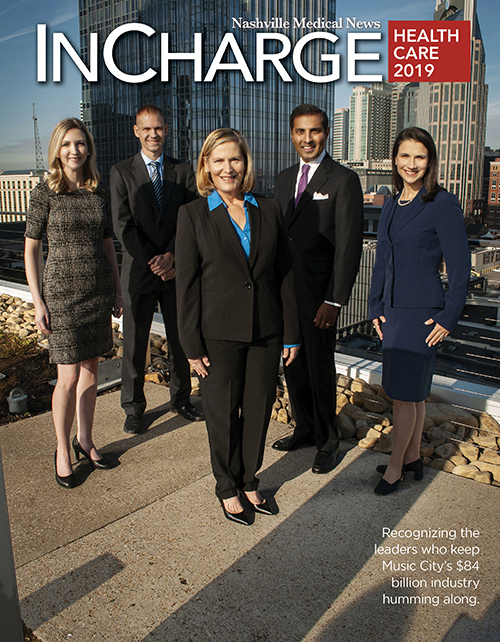 "We're in a new era," Bollinger said. "We used to say pain needs to be a zero on the scale, and people were preoccupied with the fact they still hurt. Now, patients are recognizing that it's okay to hurt sometimes ... and with some, you have to convince them to take pain meds at all because they're so nervous about repercussions." However, Bollinger still regularly addresses misconceptions about substance use disorder - namely that it's a "one size fits all" problem limited to one population or demographic. "The reality is, this is rampant in all areas of society," Bollinger said. "I've seen it in CEOs, soccer moms and everyone in between." She also encourages primary care providers to play a more active role in sorting out a patient's medical nuances and to provide ERs with a heads-up about patients at risk of substance use disorder. 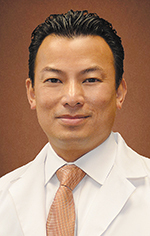 "The opioid pendulum has swung from one end of the spectrum to the other so rapidly," said Son D. Le, MD, FAAPMR, DABAM, DABPM, founder and CEO of the Center for Spine, Joint & Neuromuscular Rehabilitation in Nashville. Le - who is board certified by the American Academy of Physical Medicine and Rehabilitation, American Board of Addiction Medicine and the American Board of Pain Medicine - has a special interest in comprehensive pain management that includes advanced and minimally invasive procedures. "I tell patients they live in a good time for pain," Le said. "Today's patients have so many options." Countless back pain patients have found relief through spinal cord stimulators, which can simply be explained as "an epidural to go." Stimulators include two electrodes implanted in the epidural space to block pain with nerve stimulation and can be used to treat neck or lower back pain. Prior to permanent placement, patients undergo a five to seven day trial to determine efficacy. Thanks to improvements in waveform stimulation and frequency, the permanent implantation rate in Le's clinic from 2016 to present was 99 percent. Spinal cord stimulators have proven most successful in patients with failed back syndrome, complex regional pain syndrome, neuropathic and phantom (amputee) pain. Regenerative medicine also is proving effective for soft tissue and joint pain relief - but for a pretty penny. That's because insurance providers typically don't cover platelet rich plasma (PRP) and stem cell injections, requiring patients to pay minimally $600 and $1,500 out of pocket per injection, respectively. But for many patients who've suffered with chronic pain for years, it's a small price to pay for relief. Patients with chronic arthritis pain in the neck and back often turn to rhizotomy, or radiofrequency ablation. The procedure uses a specialized needle with an exposed tip that vibrates the nearby tissues and heats them up. "Under live X-ray, you guide the needle parallel to the nerve, heat it up and lesion it to take away pain," Le explained. One treatment typically lasts 9 to 12 months. Le also manages intrathecal pain pumps, which allow pain medication like morphine to be administered directly to the spine. While the complex procedure is often considered a last resort in pain control, it virtually eliminates the risk of opioid misuse and diversion since no oral pain pills are involved in the treatment. Thanks to relatively new technique using very small doses of intrathecal morphine, patients can have their pain managed with minimal risk of developing tolerance or overdosing since one milligram of intrathecal morphine is estimated to be equivalent to 100-300 milligrams of oral morphine. "The pump was once considered taboo and scary, but with microdosing it's virtually impossible to overdose," Le said. "You can treat chronic pain with very little intrathecal morphine and never have to increase the amount." In addition, the Center for Spine & Joint also dispenses a range of complementary approaches to pain management including behavioral therapy, physical rehabilitation, nutritional guidance and general fitness education to attack the problem on multiple fronts. 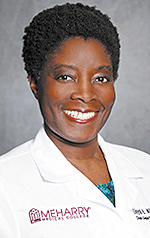 "There's no question the opiate crisis affects individuals from all walks of life and socioeconomic levels," said Lloyda Williamson, MD, DFAPA, chair of Psychiatry at Meharry Medical College School of Medicine. Williamson is an administrator and a provider for addiction treatment programs, which provide care for many individuals seeking treatment, including African Americans. "African Americans tend to seek treatment later for medical disorders, as well as substance use disorders compared to other populations," Williamson said. Contributing factors for this difference include lower employment rates, decreased access to insurance coverage and fewer available treatment options. Across the board, Williamson said there also simply aren't enough addiction treatment providers. "Even if everyone who has an opioid use disorder wanted care, there aren't enough providers or treatment centers," she said. "While the rate of providers is increasing slightly, it's more on the flat side compared to increases in other specialists. There's a huge shortage of providers overall." In keeping with the historically black college's inclusive mission, Meharry provides addiction treatment services for the poor and uninsured through the Lloyd C. Elam Mental Health Center. State-funded grants allow the Elam Center to provide an intensive residential treatment program, a special program for women who are pregnant and postpartum, and an intensive outpatient program that meets for three hours, four days a week. "We provide care for all, regardless of background," said Williamson, who also serves as executive director and medical director for the Elam Center. "African Americans and other groups tend to see addiction as a weakness or character flaw rather than a medical problem. Correct information really isn't out there in the community." Changing that stigma requires changing conversations, and that begins with primary care providers screening patients and learning to better distinguish between dependence and addiction. "Anyone who gets prescribed an opioid for pain in appropriate use post-surgery will be dependent if you suddenly stop meds," Williamson said. "That doesn't mean they're addicted, and many providers don't understand that." By weaning patients to a more appropriate medication rather than cutting them off, patients are less likely to turn to street drugs. She also encourages providers to be more aware of community resources so patients can receive support and treatment they need and to become more informed of the role of medication-assisted treatment (MAT). "One problem for people who start recovery is that when they come out of treatment facilities, many group homes and providers don't recognize buprenorphine as appropriate treatment," she said. "As providers, we need to reach out to the recovery community to help educate them that medication-assisted treatment is appropriate treatment and not a substitute."